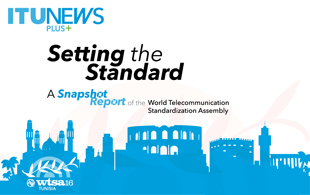 Final WTSA-16 Resolutions can be downloaded here; ITU-T A-series Recommendations can be downloaded here (December 2016). Download the Proceedings of WTSA-16 here. The Proceedings contain all Resolutions, all A-Series Recommendations, meeting reports (May 2017). The third Global Standards Symposium will take place one day prior to WTSA-16. 2016 marks the 60th anniversary of the establishment of CCITT. 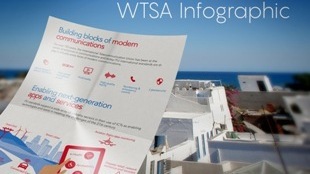 The WTSA Action Plan is a tool to monitor and facilitate the implementation of WTSA outcomes. An on-site ITU Bookshop with a selection of titles and souvenirs will be available during the event. The Bookshop is located on the ground floor, next to the Information Desk and entrance to the Amphitheatre César. Orders placed at the on-site Bookshop for any title not readily on-hand will benefit from free shipping from Geneva to your preferred address. NOTE - ITU-T A.5, A.7, A.23 (Annex A), A.25, A-Supp.4 and A-Supp.5 updated since WTSA-12. Please use the Conference Proposals Interface (CPI) for preparing and submitting Proposals to WTSA-16 (TIES account required). Where and when will WTSA-16 take place? 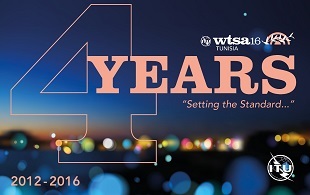 WTSA-16 will take place in the Medina Convention Center, Yasmine Hammamet, Tunisia, from 25 October to 3 November 2016. Practical information can be found in TSB Circular 230. How do I register to WTSA? Delegates should register via their designated focal point, click here for a full list of designated focal points (TIES password required). If you are not able to identify your designated focal point or if you have no TIES account please contact the WTSA-16 Registration team at wtsa-reg@itu.int. Please note that visas cannot be obtained through the ITU Secretariat. For complete details of visa requirements, participants are advised to consult the website of the Host Country at http://www.wtsa16.tn/visa.html. A TIES account is required to access the WTSA-16 documents.